Excellent classroom facilities - very homely and comfortable. Our on-site training venue is conveniently located at the heart of London. Based in Westminster, just two minutes from the Houses of Parliament, Downing Street, the Whitehall Ministries, and near Victoria station, for our clients abroad, we try to be as close to our customers as possible. Our training suite can accommodate up to 10 delegates per training session. This allows us to limit the amount of delegates, giving them the opportunity to have more time to interact with their trainers and engage in discussions. 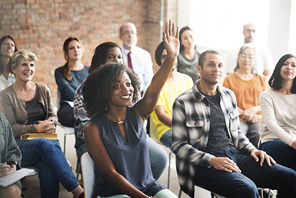 Besides our own training venue, we work with many off-site venues around central London and the UK to cater for other specific requirements, as well as delivering the trainer at your premises.